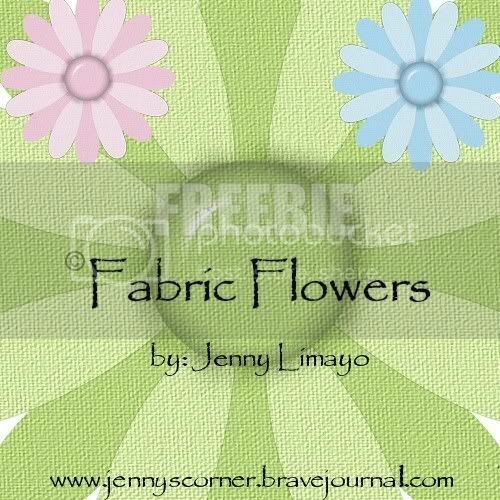 Hi all, I have a little freebie, they are 3 fabric flowers. Hope you enjoy them. Give me some love when you get them. There'll be more freebies soon, so watch out. I have some papers etc., i just need to find time to upload them. You can recolor these flowers to fit your layout. Pls. take a moment to give me some thanks, it'll inspire me more.